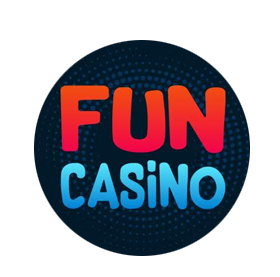 Players will be blown away by the quality of the graphics and there are some excellent bonus rounds there to help keep that slot balance flowing nicely. A trip to the far reaches of the north is in store for those willing to seek out the mystical Great Wild Elk. This is one of the best looking five reel slots that we have encountered for some time. There is an atmosphere to Great Wild Elk that we have yet to experience on other games. The brooding magic forest is where you will be spinning the reels and the interface is detailed with trees on either side of it. There are plenty of animals and creatures present on the reels and the music is fantastic also. Symbols vary in value as you would expect. Encounter eagles, squirrels, snakes and various fairy characters. The controls are located at the base of the game. And there are also some hints and tips that appear from time to time also. Great Wild Elk has just 10 paylines and plays out over 5 reels. So the game may suit the novice slot player due to its simple structure. To minimum bet on this game is just 10p. Which means you don’t have to spend a lot to wager your money on this dazzling game. The maximum bet is £20 and there is a jackpot of 250X your line bet up for grabs for the luckiest of players. Bonus features are the name of the game and there are several to enjoy on this slot. The elk is the wild symbol and replaces all others except the scatter which it itself is the tree symbol. The first bonus feature is the Elk’s Light and before any spin, any one of the four coloured runes can transform into one of the higher-value symbols and offer you the opportunity for a big payout should it contribute to a line win. 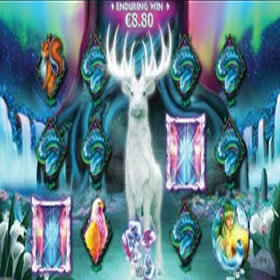 There are also free spins on offer when the elk symbol contributes to a winning combination. The win value of that spin then becomes the initial enduring win prize which will be displayed above the reels. During the spins, the elk can free in place on the third reel and each win after this will increase your enduring win value. The prize is then won when the tree scatter symbol lands on the reels. Additionally, players can also gamble after any win with the aim of doubling or quadrupling your latest win. 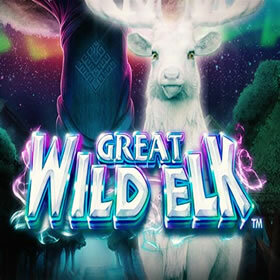 Great Wild Elk is a fantastic game and the balance between great graphics and interesting bonus features make it worth playing. 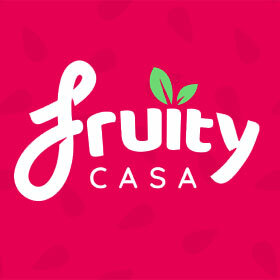 We really enjoyed spinning it and you can do so as well on Fruity Casa. Give this game a shot if you want the chance to make your mark!